The 20-year-old beauty revealed on Tuesday, Feb. 6, that she’s named her daughter “Stormi”, and later updated the caption to clarify that her daughter will be using Travis’ real last name “Webster.” However, this means fan theories were way off. Given her affinity for butterflies, a lot of followers assumed she’d take inspiration from the insect. “The baby’s name will be butterfly or monarch, just a theory,” wrote one fan. Another suggested it might be “Mariposa, butterfly in Spanish.” Since Kylie also released a special set of her Posie K lip colors, some fans thought she might use “Posie” as a nickname for Mariposa. 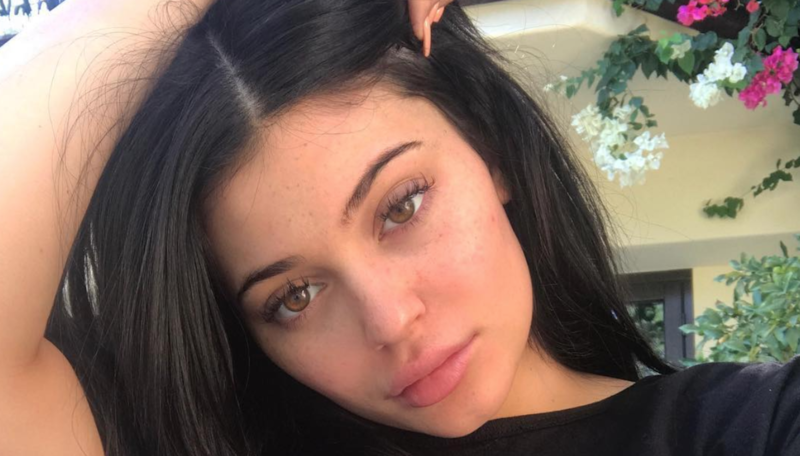 The butterfly theory gained even more steam after a close look at the announcement video, which showed Kylie wearing a butterfly necklace at her birthday party. The lip kit maven did share photos of her baby bump in the video dedicated to her newborn daughter. “Here’s a little glimpse of the last 9 months,” she captioned a clip of the 11-minute montage on social media, which includes shots of her growing baby bump, well-wishes from family and friends, and an unexpected glimpse at Kim Kardashian‘s baby girl Chicago. She also gave fans a much-needed update. “Pregnancy has been the most beautiful, empowering, and life-changing experience I’ve had in my entire life andI’m actually going to miss it. I appreciate my friends and especially my family for helping me make this special moment as private as could be,” she wrote. “My beautiful and healthy baby girl arrived February 1st and I just couldn’t wait to share this blessing. I’ve never felt love and happiness like this I could burst. Thank you for understanding.” Congrats, Kylie! Kylie Jenner's Baby Girl (and Her Chubby Cheeks) Makes Her Instagram Debut!